A canopy for your baby’s cradle makes it easy to create an even snugger and cosier sleeping place for your baby. 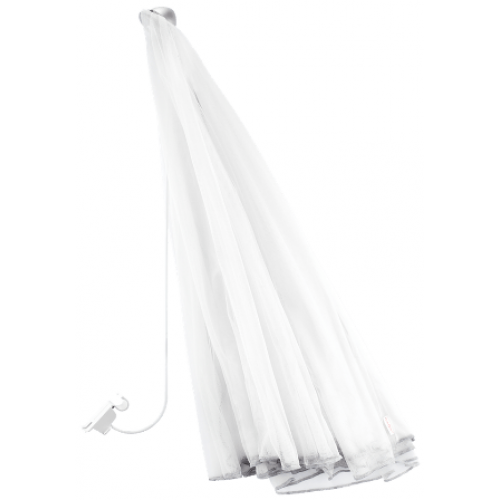 The sheer mesh fabric acts as a screen and softens bright lights, while still allowing air to circulate freely. The canopy is easy to attach to and remove from the cradle, and is conveniently machine washable. It’s the perfect accessory for your baby’s cradle. The canopy makes your BABYBJÖRN Cradle an even snugger and cosier sleeping place for your baby. The canopy acts as a screen and softens bright lights, so your child can sleep deeply and undisturbed. The canopy is easy to attach and remove. Please store it in the protective bag when not in use. The canopy is made of 100% polyester.